CAIRO, EGYPT (BosNewsLife)– Egypt’s government and religious leaders have condemned an attack outside a Coptic church in Egypt’s capital Cairo that killed four people, including an 8-year-old girl. The condemnation came just hours after gunmen shot dead two adults and two girls, aged eight and 12, following a church wedding, state media reported. It was not immediately clear who was responsible for the attack. Witnesses said two masked gunmen riding on a motorcycle opened fire at the wedding party in Cairo’s Waraa neighborhood as guests were leaving the Virgin Mary church. The attack also wounded 17 people, officials said. Sunday night’s attack marked the the latest in what church leaders say are rising attacks against the country’s embattled Christian minority, also known as Copts, who comprise roughly 10 percent of Egypt’s population of 85 million. The government leader called it a “callous and criminal act,” and vowed perpetrators would be brought to justice. The top cleric at Al-Azhar, the world’s primary seat of Sunni Islamic learning, also condemned the attack. 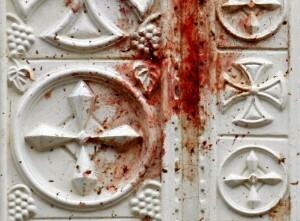 “It is a criminal act that runs contrary to both religion and morals,” said Sheik Ahmed el-Tayeb in a statement. Egypt’s Coptic Christians have long complained of discrimination by the country’s Muslim majority, and more recently, over what they see as the failure by the government to protect their churches against militant Muslims. said Dawoud, a priest at the Virgin Mary church, in published remarks. Egypt’s Coptic Christian community has been targeted by Islamists who accuse the Church of backing the army’s overthrow of President Mohammed Morsi in July. Observers said Sunday’s attack reminds them to Egypt’s Islamist insurgency of the 1980s and 1990s, when militants attacked foreign tourists, Christians and senior government officials. It is also the latest in a series of high-profile attacks blamed on Islamic militants in the country’s capital — a city of some 18 million people — since the July ouster of President Morsi. survived an assassination attempt by a suicide car bombing in Cairo. Earlier this month, militants fired rocket propelled grenades on the nation’s largest satellite ground station, also in Cairo, The Associated Press (AP) news agency reported. The Interior Ministry reports near-daily discoveries of explosives planted on bridges and major roads and clashes between Morsi’s supporters and security forces, occur daily in the capital. At least 50 people, mostly supporters of the ousted president, were killed in the capital on October 6, news reports said. Elsewhere earlier this month Egyptian security forces detained several suspects in the village where a key Coptic bishop survived an assassination attempt. 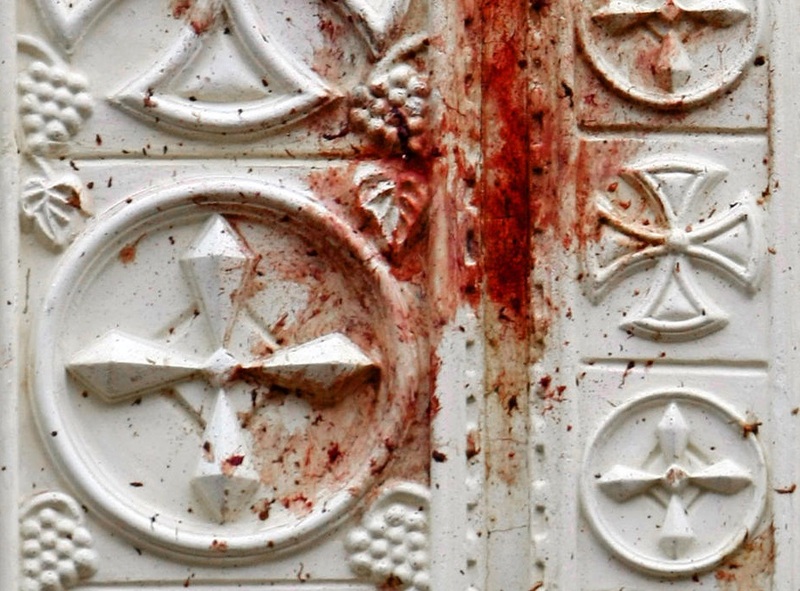 The raid in al-Serw village in Minya province came shortly after gunmen attacked the entourage of Bishop Anba Makarios on Monday, September 30, Christians said. Scores of Christian homes, businesses, and churches have been targeted, looted and destroyed, while in some villages Copts have been forced to pay a special Muslim, or jizya, tax, BosNewsLife reported earlier. Direct threats have also been made against Coptic Pope Tawadros II and other public figures, rights activists say. Egypts security forces have been struggling to contain the violence as they are reportedly involved in a full-fledged insurgency in the northern part of the strategic Sinai Peninsula. Sinai, which borders Israel and the Gaza Strip, has for years seen intermittent attacks by militants on security forces, but they have grown to be more frequent and deadly since the ouster of Morsi and his Muslim Brotherhood-led government, analysts say. (BosNewsLife, the first truly independent news agency covering persecuted Christians, is ‘Breaking the News for Compassionate Professionals’ since 2004).